This cosy and stylish knitwear is sure to brighten up any day. 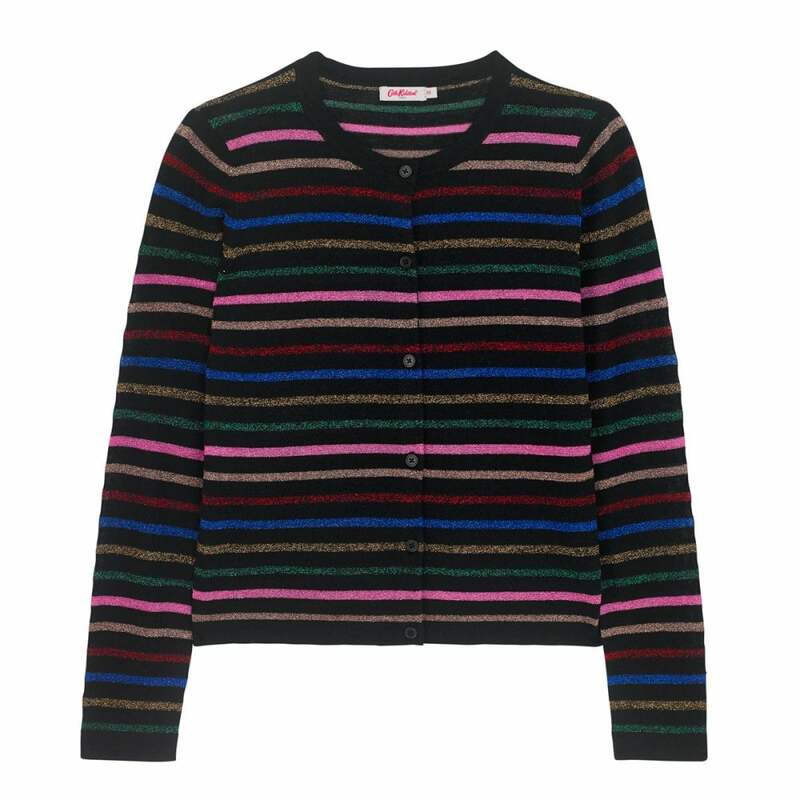 This cotton and silk blend cardigan is patterned with colourful metallic Lurex stripes to make your winter style shine. It looks fabulous for an evening event or dressed down for everyday wear.